Crew T-Shirt  - $20.00 : Hollywood History Online, Discover the Magic and Bring Hollywood Home! 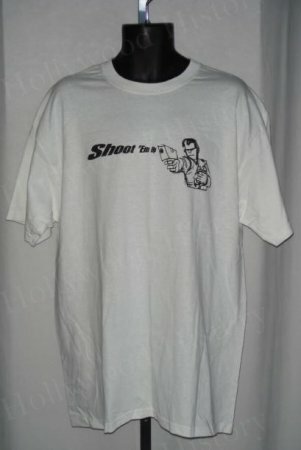 White promo t-shirt from the film Shoot 'Em Up starring Clive Owen. The front has the Shoot 'Em Up logo and the back has Budweiser Select logo. 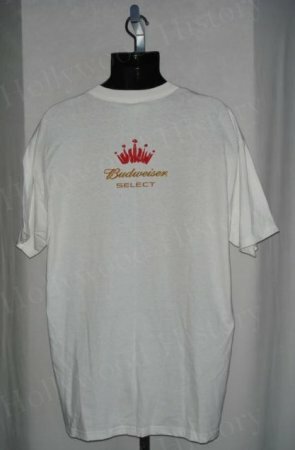 T-shirt is size XL and in unworn condition.